Beautiful panorama views of the Okanagan valley from this lovely penthouse two bedroom/two bathroom condo at Pinnacle Point/Quail Ridge near the Kelowna Airport, in the heart of lake country, minutes away from exceptional golf courses, lakes and the UBC Okanagan Campus. Clean and affordable, this condo offers everything you need to begin relaxing as soon as you arrive. Pool, hot tub, fitness center are just the beginning of your adventures in the Okanagan. Our unit is located at 1875 Country Club Way. Nearby are two championship golf courses known as the Bear and the Quail (the clubhouse is only a 2 minute walk away) and will please anyone looking for comfortable, affordable accommodations. There are many more golf courses within minutes of this beautiful 2 bedroom, 2 bath, fully equipped condo. Top floor unit offers scenic views of the valley. The master bedroom has a King bed, an ensuite bathroom and large closet. The second bedroom has a queen bed and large closet, second bathroom has a shower, and there is a double pull out sofa in the living room. Flat screen TV’s in the living room and both bedrooms, with cable and wireless internet (included). The suite includes a washer and dryer, 1 underground parking stall, and a spacious deck with BBQ. Nearby: Plaza with Nesters Market grocery store, Starbucks, Tim Hortons, liquor store and Gulfstream restaurant are just a few minutes’ drive from the condo. The Gray Monk Estate Winery restaurant is highly recommended for visitors as well. If you are looking for a beautiful location and a setting where nature is only steps away, then our condo is for you. Book early to avoid disappointment. Long-term renters are welcome, please inquire regarding a discounted rate. We purchased this condo 6 years ago for our University Student to use. but it is just too lovely to give up. The Okanagan is always an amazing get away with so much to do! Winery tours are one of our favorite, along with golfing, biking, hiking, water activities as well as just soaking up the sunshine by the pool or a glass of wine on the deck as the sun goes down. We know you will enjoy this special place as much as we do! Luxurious Top Floor Condo with views of the Okanagan valley, situated on 2 championship golf courses and quick drive to lakes and wineries. We recently stayed at Pinnacle Point and greatly enjoyed our stay. Heidi was very friendly and accommodating when we booked. The manager and cleaners were also very friendly and accommodating. The suit was very spacious and comfortable, and it was outfitted with all of the amenities one requires for a comfortable stay. 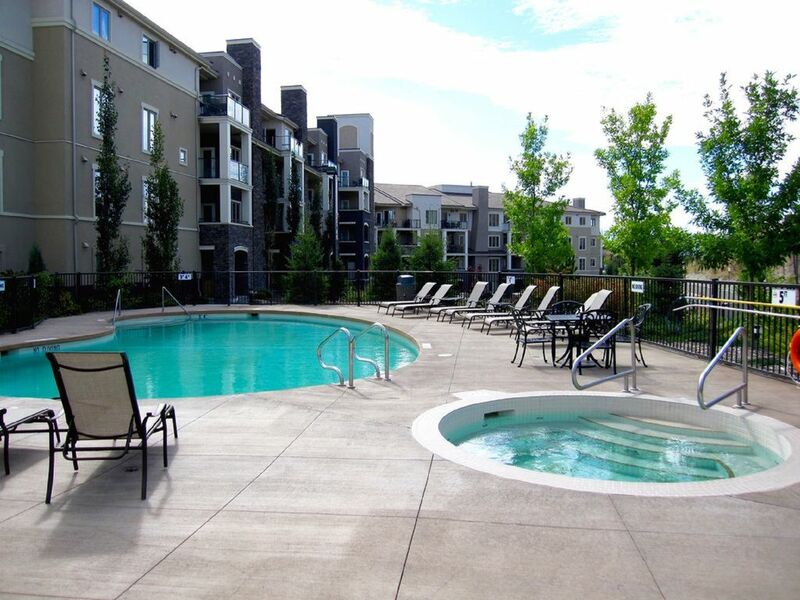 The pool area and parking were both clean and well kept and you can't beat the local amenities with a grocery, cafe, and restaurant all in close proximity. This is a great suit and place to stay when visiting Kelowna or the Okanagan. Heidi was very accommodating when we were arranging our stay at her condo. Our daughter was having twins and needed a home base to stay at until they came, Heidi was so understanding and made it stress free. The condo had everything you needed, including pool towels and a kitchen that had all you needed. Pool was clean and warm. If I need a place to stay in Kelowna again I would go to Heidi. Thanks, Steve, very happy you enjoyed your stay. You are welcome back anytime!